This is a recipe created graciously by Jordan, THE stud muffin. 1. Open bottle of bubbly. 3. 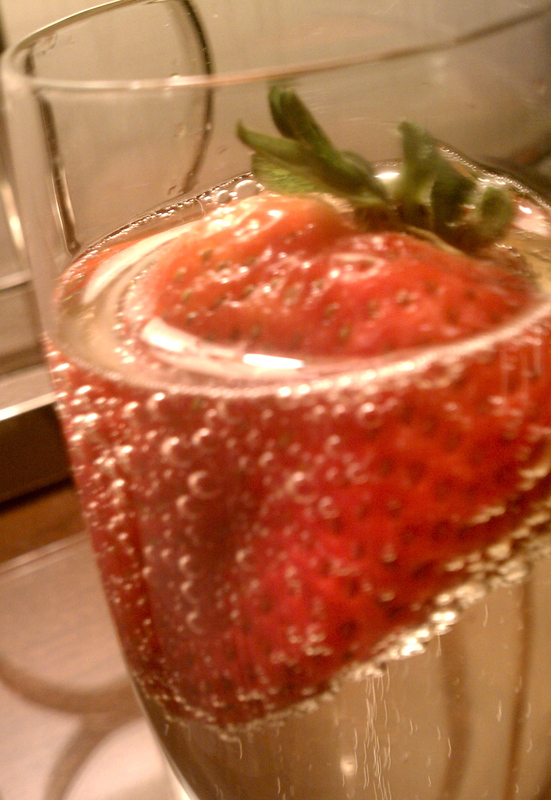 Place one strawberry into each glass. 4. Enjoy a very happy SCD 1 year anniversary with the love of your life, thanks Jordan. Honey, Mustard Sauce is lovin’ on that Tilapia. This recipe graciously inspired by the back of a package whose brand I have forgotten, oh yeah. 2. Place tilapia in a lightly greased baking pan. 4. 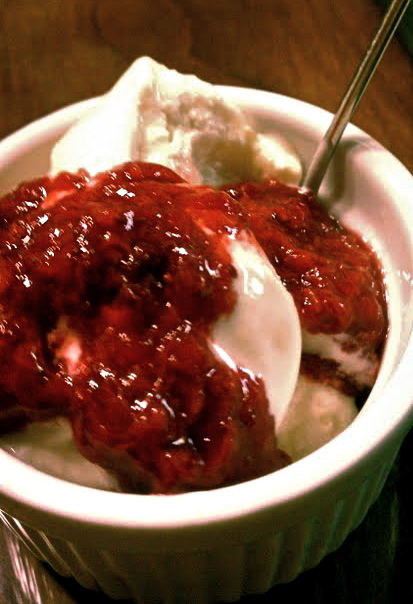 In small skillet or microwave-safe bowl, melt butter and honey together. 5. Stir in mustard to butter and honey mix and brush on fish. 6. Sprinkle parsley (and if desired pecans) evenly over fish. 7.Bake 8-10 minutes or until fish flakes easily when tested with a fork. Simple and satisfaction characterize this meal. You know when you get home and you really wish you didn’t have to make anything AND you’re so hungry that the thought of waiting a second seems earth shattering? Sometimes the best recipes come on the package itself, and well, credit is due to a package from Tom Thumb. When you don’t want to labor, but you want a sweet meal- Honey Mustard Tilapia. This recipe inspired and derived from Lauren’s Pop’s Hash, the concept of Hamburger Helper, and the new genre categorization by Rachael Ray. 1. 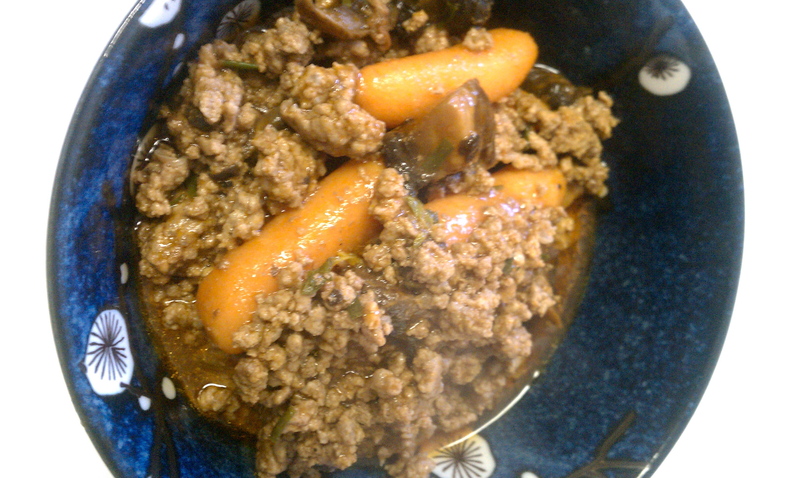 Begin cooking ground beef with salt and pepper in large skillet. 2. Once meat is browned add in tomato juice, chives, oregano, mushrooms, and carrots into skillet and let simmer with lid for 20 minutes. 1. 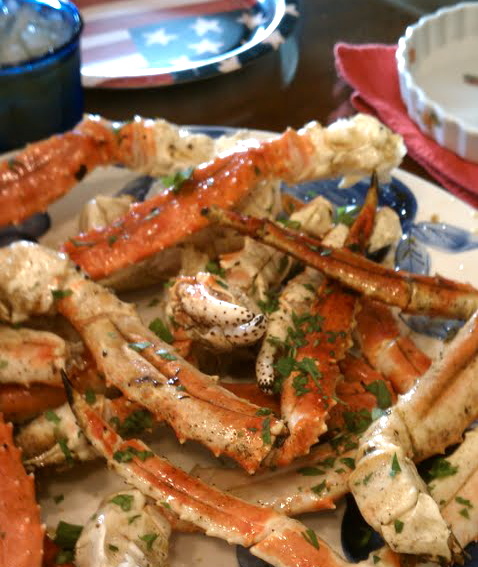 Cut a slit, length-wise, into the shell of each piece of crab (some packages are pre-cut, for convenience). 2. Melt the butter in a large skillet over medium heat and cook the garlic in the butter until translucent. 3. Stir in parsley, salt, and pepper. 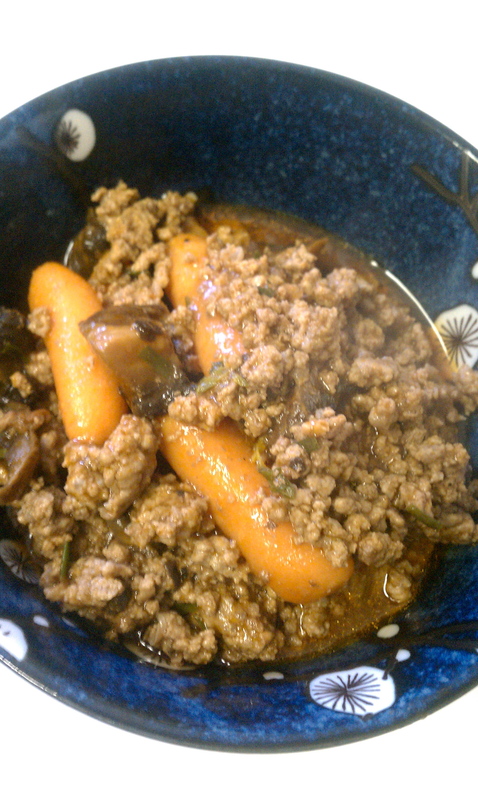 Continue to heat mixture until bubbling. 4. Add the crab legs, toss to coat; allow to simmer in the butter mixture until completely heated, 5 to 6 minutes. 5. Sprinkle fresh parsley and serve steamy. Tasty, but a little work getting the meat out of the shell!